At Urban Tide Plumbing, we offer excellent drain installation and replacement and all plumbing services in Pakenham, Berwick, Narre Warren from new homes, apartments, factories, shops to existing homes and renovations. We will work with you, your general contractor, or architect to find wastewater solutions to suit you. If you find that your drains are no longer working as they should or they require frequent repairs, then we can also provide drain cleaning & replacement services. 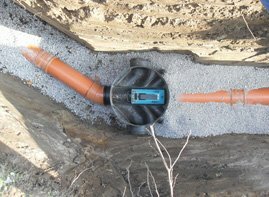 Contact us today to get a free quote on all your drainage needs!